Established in 1998 by longtime winemaker for Verget Jean Rijckaert, who fell in love with the terroir in both the Macon and Jura, this unique estate has cellars and produces wine in both regions. 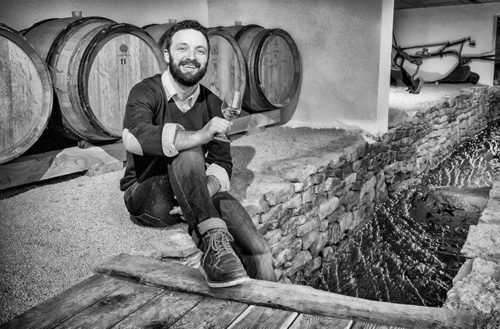 Without heirs, Jean partnered with his brilliant student Florent Rouve and groomed him until he was ready to take over managing the estate and all winemaking in 2013. The “savoir-faire” that made the outstanding reputation of these wines – restricted yields, manual harvesting, slow and moderate pressings, indigenous yeasts, limited batonnage to favor acidity, long aging – has been preserved, perhaps even enhanced, with the incredibly talented Florent taking over at the helm of the estate, while Jean consults at key stages in the process. All wines are aged in oak barrels with no racking, stirring or any disruption during élevage. These beautifully crafted wines soulfully represent some of the best in natural winemaking, which aims to express the typicity of the grape and the specificity of the terroir. 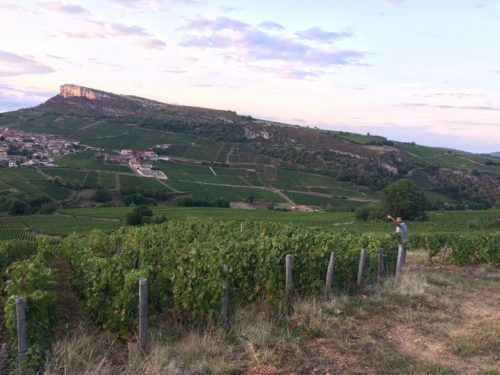 Today, Régine and Jean own 4 hectares of vines around Mâcon, in the villages of Viré-Clessé, Mâcon-Lugny, Mâcon-Montbellet and Saint-Véran, as well as 5 hectares in the Jura region, in the villages of Arbois and Côtes de Jura.